Currently supported game version: 1.33 work on other versions - is not guaranteed. - adaptation to patch 1.33. 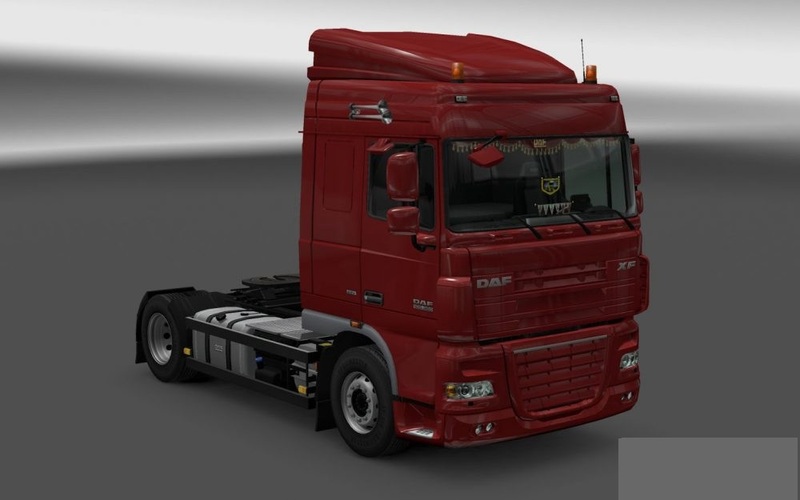 - fixed trucks in companies to work with double trailers. - a slot for installing decals has been added to the windshield. - windshield rendered in tuning, added options for glasses with colored stripes. - fixed display of icons for accessories. - for the rear mudguards Euro 6 added their own license plates. - added external models for the upper console cab Space Cab and Space Cab Plus. - slots are added to the door boxes. - added models of glass cleaning products. - added Donovan Paccar Company mudflap and decals. - updated configuration files for paintjobs from various DLCs. - reworked rear lamp euro 6. - modified template for metallic interior parts. Please keep the author links!